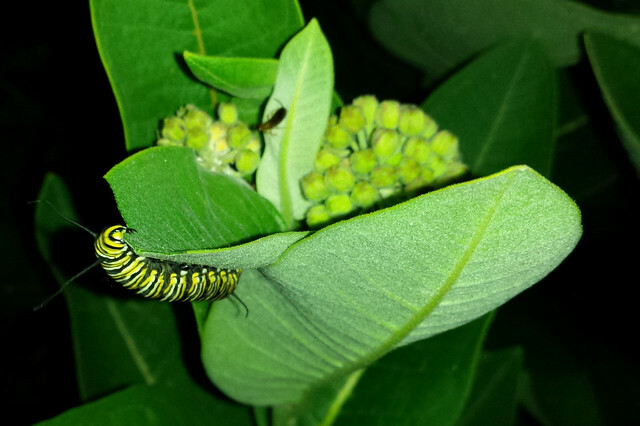 One night just after dusk, as I arrived home after running errands, I decided to see what the caterpillars were up to. 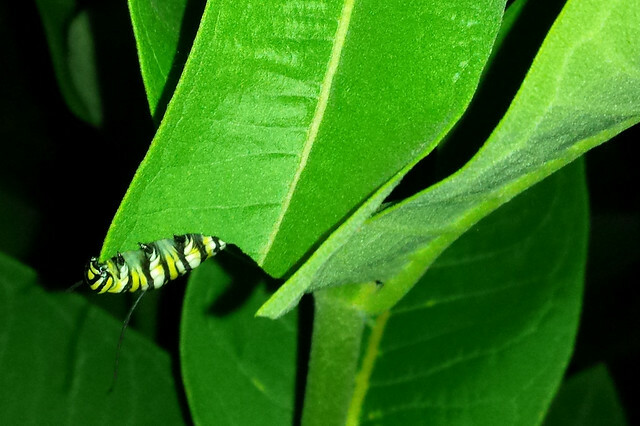 For several days, I had been observing eight or nine monarch caterpillars growing larger and larger in the front corner of the yard, in what I’m calling the “milkweed forest” because there are about three dozen common milkweed plants close together. Quite likely, these caterpillars were from the eggs that were laid on May 26. The caterpillars were getting so big, I knew they’d be ready to form their chrysalises soon. Would they be resting up, or would they be eating all they could? I guessed they’d be eating. Sure enough, they were still out and about, still eating. Even in the low light, I could easily spot them. They just went about their business without even noticing me, which is generally what they do in the daylight, too. I’m not sure whether they eat all night. Sometime, maybe I’ll check! Within a day or two, these caterpillars probably moved on to the next stage in life. 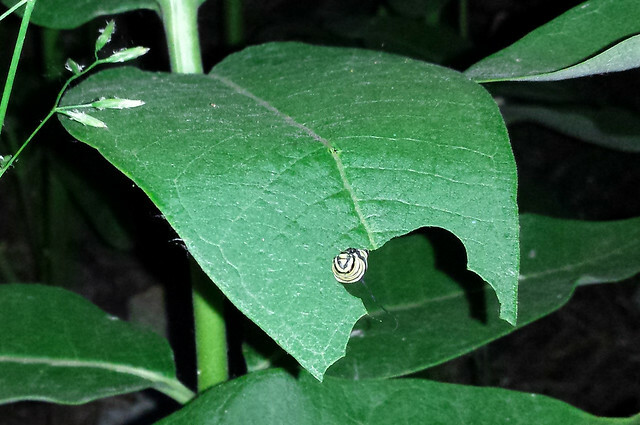 They must have crawled far away, or hidden well, because I haven’t found even one chrysalis. Photos were taken on June 15. These caterpillars might be butterflies now! 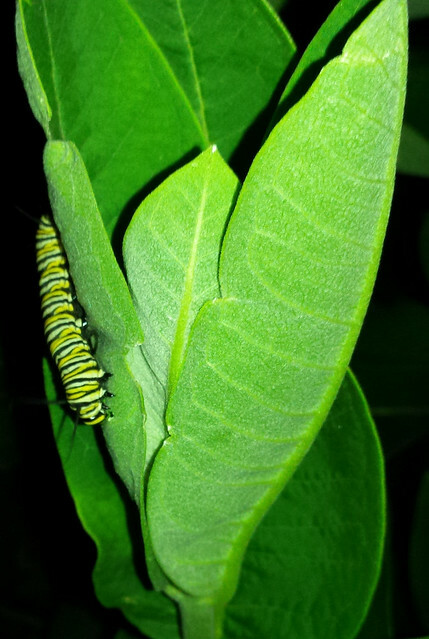 Growing up in New Zealand all kids would have monarch caterpillars as pets! Seeing these brings back such fond memories :D A few months ago when we were back in New Zealand, a friend of ours had filled a corner of their garden with swan plants and they were covered in hundreds (!!!) 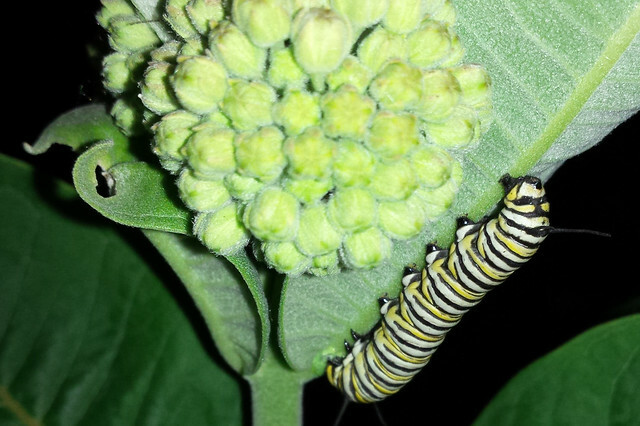 of monarch caterpillars. The fence behind the plants was also lined with tens of chrysalises dangling from the wooden beam. I wish I would have been there to see them emerge! What fun! 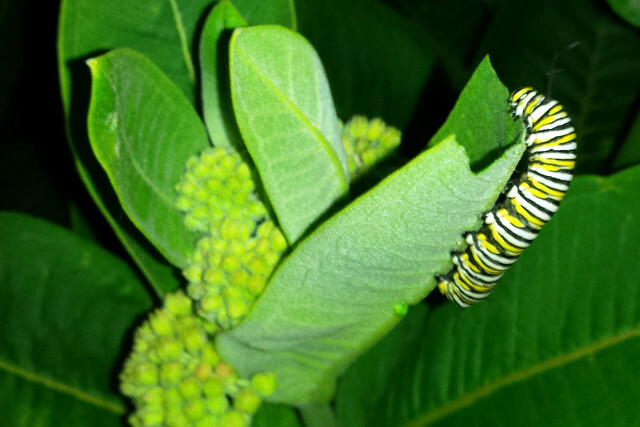 It’s so rewarding to see how gardening with native plants benefits butterflies and other insects.